Why bathroom remodeling projects come with different price tags? 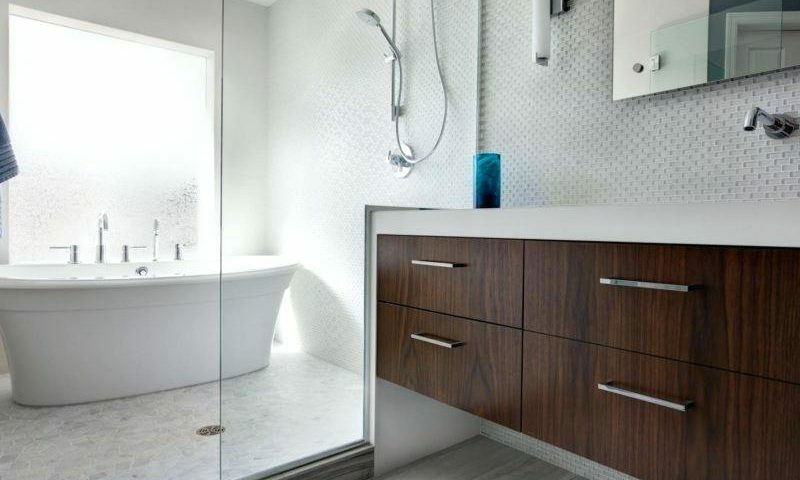 As far as bathroom remodeling is concerned, one of the homeowner’s main considerations isn’t the latest trends in tiling or fixture design but, plain and simple, cost. Searching for the answers on the internet, results in estimates that are all over the place. Of course, everybody knows that remodeling bathroom on a budget is much cheaper than deciding on high-end project. But cost range between $4,000 and $55,000 or more seems like an exaggeration. So let’s have a closer look on those numbers to learn where they come from. Generally speaking, bathroom remodeling project come with basic, medium and premium price range. Budget version consists of refreshing the interior more than anything else. For the price of $4,000 to $13,000, you get ready-made cabinets, tile or laminate countertops and basic fixtures. There is no saying that such money-wise option cannot be of high quality but with low-end projects, you have to be prepared for cutting corners. The most popular are bathroom remodeling projects from medium price range. They cost anywhere between $18,000 and $28,000. For that price, you get semi-custom cabinets and solid countertops of natural stone such as granite. Spending larger amount of money also mean that you get more stylish décor. If you want to go all the way and enjoy cabinets made to measure, quartz or marble countertops, mosaic tiling and luxury fixtures (jet tubs, power shower and such), you may opt for high-end bathroom remodeling project. Such pleasure costs anywhere between $36,000 and $55,000 or more (where sky is the limit). Premium version isn’t solely a domain of wealthy luxury lovers. It’s also considered gold standard while remodeling bathrooms with atypical layout. However, costs discussed above are only rough estimates, so if you want to learn the price of your project, you should contact local bathroom remodeling contractors for an exact quote.